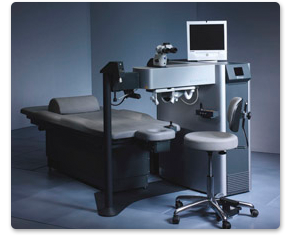 For excellent LASIK results the latest generation of equipment is needed. All of the equipment below is used in Dr. Singer’s office. This excimer laser system is the latest generation of VISX technology. 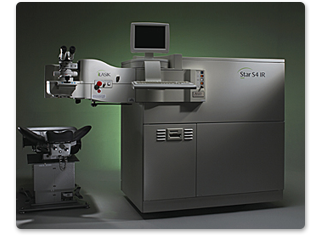 The ultra-fast IntraLase FS laser uses an infrared light beam, generating 30,000 pulses per second, to prepare the intracorneal bed and create the corneal flap in the first step of LASIK. Uses laser energy to create a corneal flap, eliminating the need for microkeratome (blade). The laser pulses then create thousands of microscopic bubbles which define the precise architecture of the intracorneal surface, as well as the distinct beveled edge of the resulting flap. Allows customization of flap parameters such as depth, size, hinge location. Smart Energy Control: Each laser pulse is checked three times before it is delivered to the cornea. If laser pulse energy is not at the desired level when it reaches these checkpoints, the system will automatically adjust before delivering the next pulse. Fast Eye-tracking: Three independent infrared sources follow the eye’s movements 200 times per second — once for every laser pulse administered. The system reacts in just four to six milliseconds (ms) if the eye shifts even a fraction of a millimeter. 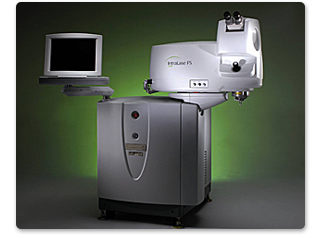 This virtually eliminates the chance of errant laser pulses that could impact the cornea. Wavefront-Optimization: Automatically determines each individual’s unique pre-operative corneal shape and provides a treatment that not only corrects nearsightedness and farsightedness, but also maintains the cornea’s natural curve following treatment. As a result, studies have found the ALLEGRETTO WAVE to be one of the first lasers in which patients reported a reduction in postoperative glare compared to their pre-operative vision. Non-Overlapping Pulses: The laser’s internal computer monitors the location of each pulse applied to the eye and makes sure that if a location needs additional pulses, it is treated no more than once every fifth laser pulse. This reduces the chances of any kind of heating effects occurring in the eye. The AMO WaveScan WaveFront™ System leads the industry for outstanding wavefront acquisition and diagnostic capabilities. Fast and powerful, the WaveScan System delivers unprecedented measurement accuracy, enhancing the precision of the Advanced CustomVue TM procedure . The Wavescan personalizes the Advanced CustomVue ™ treatment for each patient according to the unique characteristics of his or her eyes. 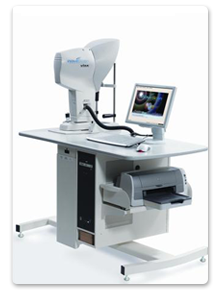 The Pentacam images the anterior segment of the eye by a rotating Scheimpflug camera measurement. This rotating process supplies pictures in three dimensions. The center of the cornea is measured very precisely because of this rotational imaging process. 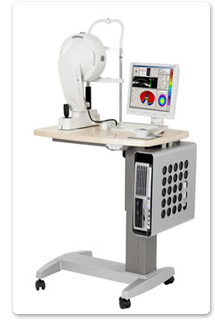 The measurement process lasts less than two seconds and minute eye movements are captured and corrected simultaneously. By measuring 25,000 true elevation points, precise representation, repeatability and analysis are guaranteed.